Cardinal Health is a Fortune 500-ranked healthcare services and products company with nearly a century of experience. The brand's annual event, Retail Business Conference (RBC), celebrates the history and value of the independent pharmacy. 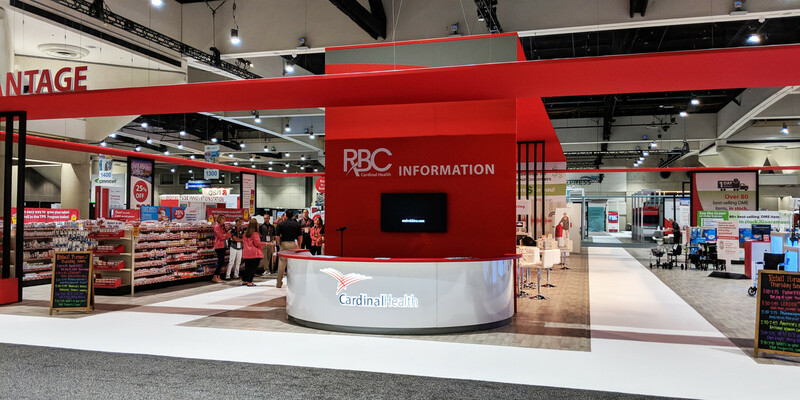 RBC has grown to be the industry’s biggest trade show for this audience, and at this year’s event, Cardinal Health wanted to create a centerpiece exhibit featuring its internal business units. The goal? 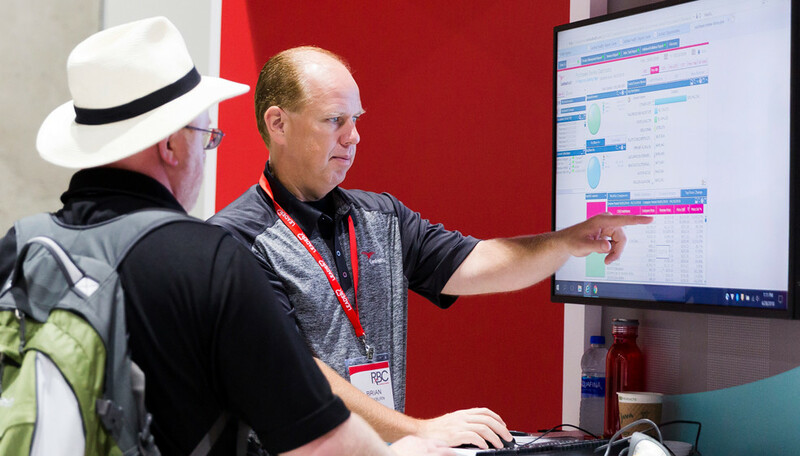 To be a key destination for attendees, where they could learn more about Cardinal Health’s products, services, and offerings in an interactive and engaging way. Cardinal Health wanted its space to have a custom look and feel and be both sustainable and affordable. Additionally, the exhibit needed to have separate spaces created for each business unit while still presenting cohesive branding in the overall space. Freeman collaborated with Cardinal Health and key business units to design a unique space called the “Showcase.” To help meet the brand's goals, Freeman introduced “FAB Fold,” which is a unique process that produces a lightweight, recyclable wood with a customized look that is also highly economical. 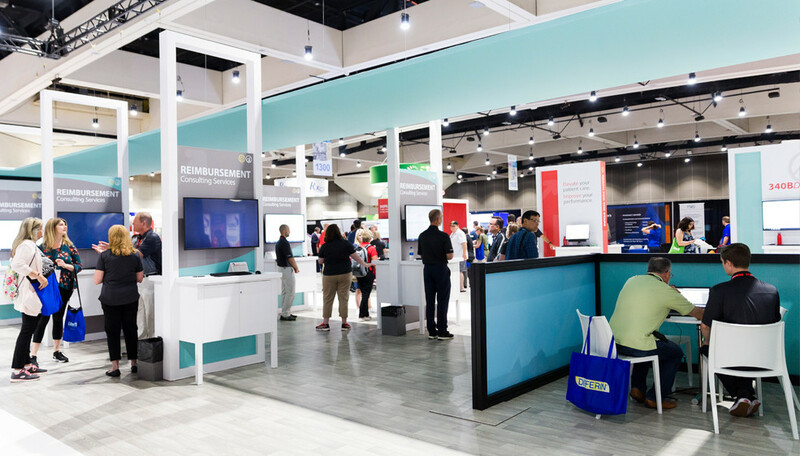 The Freeman vision for the Cardinal Health Showcase came together in stunning fashion, occupying over 30,000 square feet of space, with 70+ individual kiosks. Each business unit’s section had its own distinct pops of color for easy attendee navigation. The kiosks were custom designed, with an open and airy feel anchored by sleek and elegant FAB Fold custom structures. The Freeman team covered all the bases — utilizing FAB Fold displays and structures, creating canopies by Fabric Solutions, incorporating digital signage — all to support the internal Cardinal Health team. The design was not only beautiful, but functional. 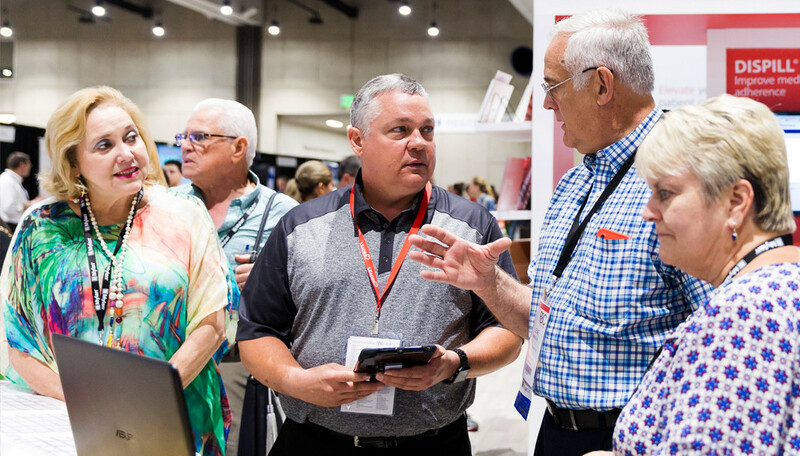 It highlighted various Cardinal Health business units, facilitated networking and education, and was a popular destination during the event. Not only was the Showcase a show-stopper, it was sustainable as well: The Freeman team was able to recycle ALL the exhibit elements that were used to produce the space. After the event, the materials were easily brought to a wood recycling facility, where they were recycled into wood chips.